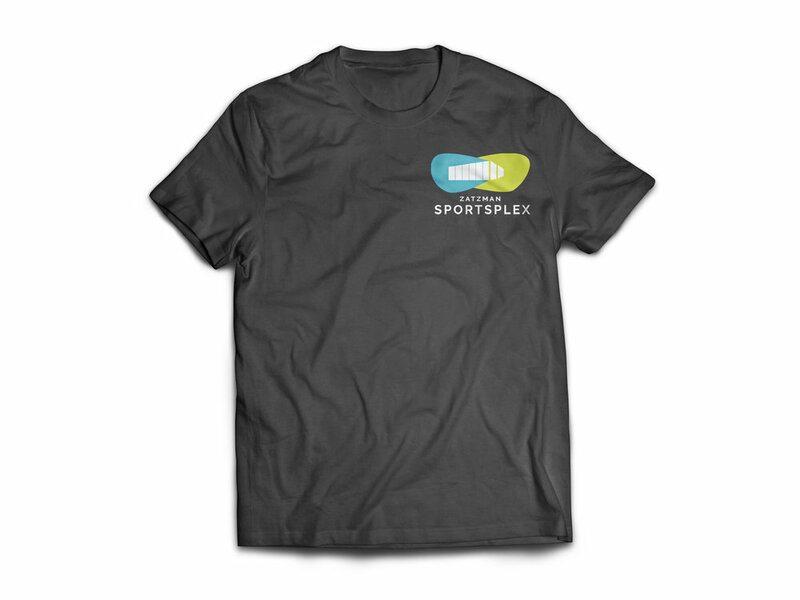 Re-branding, Print Design, Messaging, for Zatzman Sportsplex in Dartmouth, N.S. 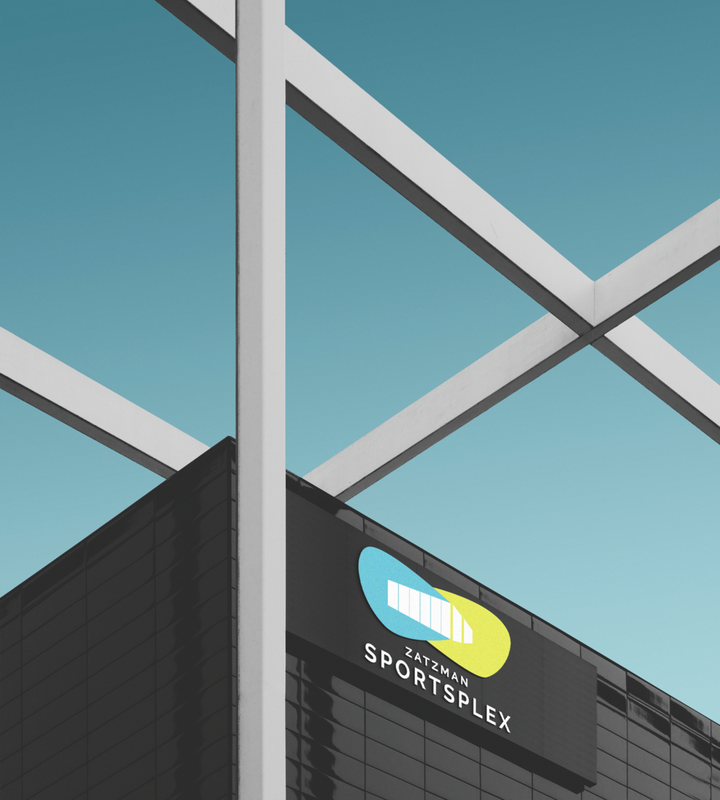 In consideration for creating the new visual identity for Zatzman Sportsplex, it was vital to dig into the rich history that surrounded this community REC centre. It was important to review all background from the Board, the community and the staff to create full picture of the meaning this space holds to Dartmouth. The new vision became clear; the renovations, newly designed building, and renaming were all designed to welcome all people. All ages, genders, abilities and economic backgrounds were considered to create an inclusive space to come together and thrive. With the building now modern, thoughtful and bright, the brand needed to reflect all these attributes. Each element was created with careful consideration. The simplified building view of the fitness centre is a depiction of the prominence of Zatzman Sportsplex being a pillar in the community. Its structure is juxtaposed with the merging retro-inspired shapes as a nod to the long history as well as being an intersection of activity, creativity and wellness. Diamond Schmitt Architects interior building colour choices were chosen for the brand colours of friendly blue and vibrant green to mirror the environment surrounding the building by the ocean and urban parks. The tagline, 'Dartmouth Fits Here' is a testament to the continued support of this space for 37 years. It is a space to support a community focusing on a healthy mind, body and spirit and will be for many years to come.